Hair breakage. Ugh. Just thinking about that phrase makes me shudder. Anyone who has hair on their head may have experienced it at some point. I know I have plenty of times. Including just recently. 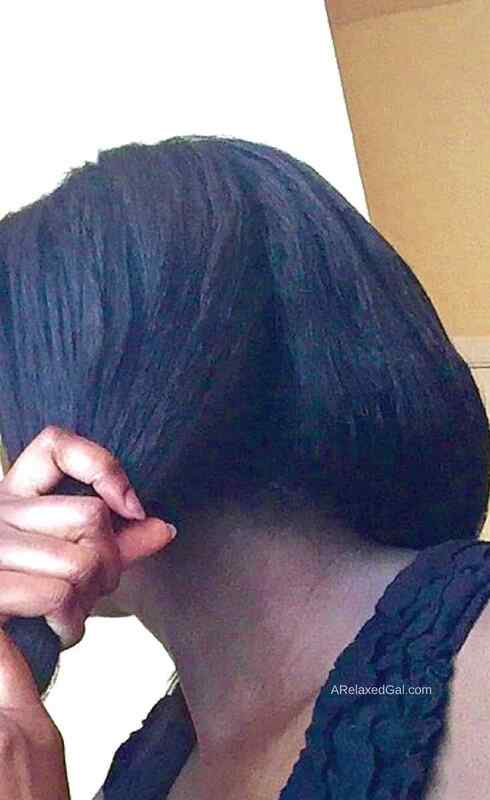 After having a stylist overlap my relaxer I experienced breakage that while not severe was enough to scare me. I learned from that experience if the breakage isn't too severe, don't freak out. Don't get scared and proclaim that all is lost. 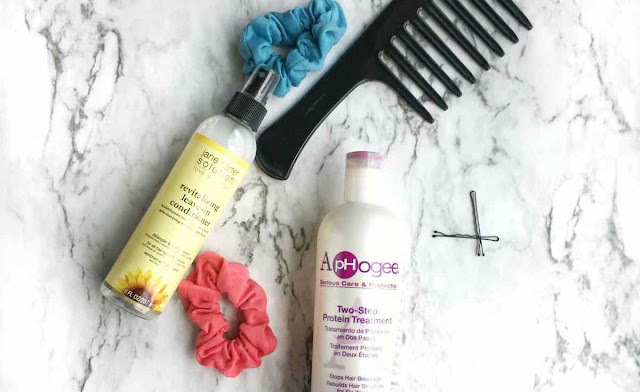 While it's not guaranteed that you can stop all the breakage, there are a few ways you can try and avoid it. Not just a protein-based rinse out or deep conditioner, but the hard protein treatments. These treatments make your hair feeling stiff and hard when the protein dries on your hair but leave your hair feeling stronger when the protein is rinsed out. I've only done about three or four protein treatments since I started my relaxed hair journey in 2014, but they are awesome. During my recent run-in with breakage, I didn't do a protein treatment as soon as I should have. So the breakage was probably worse than it would have been if I'd done the treatment sooner. Going forward I plan to do a hard protein treatment every six weeks. That equates to one right after my touch up and one in-between relaxer touch-ups unless my hair feels like it doesn't need it. While combing can help keep out tangles, which can cause breakage, the act of combing can also cause breakage if the right tool isn't used. I've been using wide tooth combs for a while. They were combs from the drugstore that did help protect my hair from breakage, but not all. The reason was there were seams in the teeth of the comb where my hair would catch. Once I started using the Hercules Seamless Comb, I didn't have that issue anymore. This may seem odd coming from someone with relaxed hair, but I'm not saying stay away from the chemicals altogether. Just be careful when using them because improper use of chemicals on your hair can result in some serious damage. And not just relaxers, but hair color as well. For relaxers avoid overlapping which is applying relaxer to already relaxed hair. For both hair color and relaxers avoid over-processing. Overlapping and over-processing both weaken hair strands even further resulting in breakage. Having really smooth and tight updos may look good, but they aren't always good for your hair. Sometimes updos can weaken the hair making it more susceptible to breakage and thinning. To avoid this give your hair a break. It doesn't hurt to occasionally wear your hair out or to loosen up your braids(s), bun or ponytail. How do you avoid hair breakage? I am yet to own a seamless comb. Great tips! The seamless comb is awesome! I didn't realize how much harm my previous comb was doing to my hair till I switched.